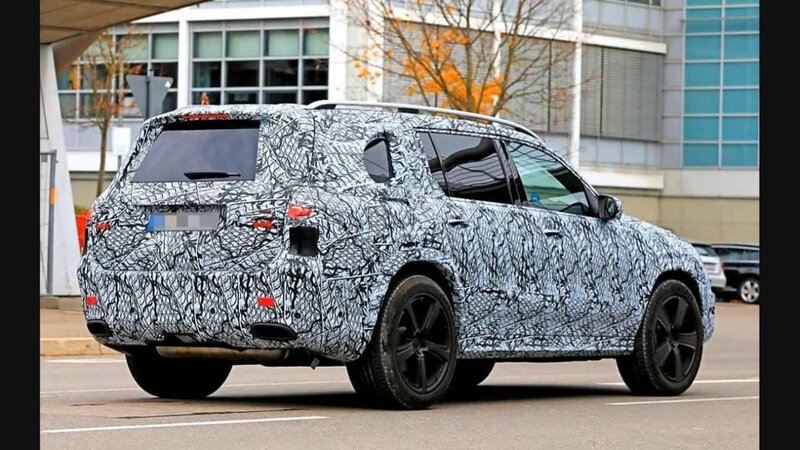 The first prototype of the Mercedes-Maybach GLS has been spotted testing in Germany prior to its debut at the Los Angeles motor show. This is the top-of-the-line Maybach model. 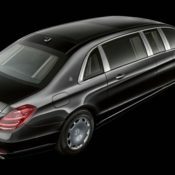 Mercedes is planning to expand the Maybach line-up with lavish models, and what better way to do that than to add the GLS to a portfolio known mainly for stretched limos! 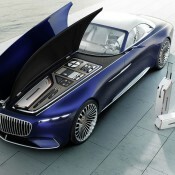 Mercedes is looking to capture as much market share possible with the Maybach brand. While AMG is doing well on its own with performance cars, Maybach is still relying on Mercedes and building high-end versions of the S-Class sedan. However, Autocar reports that Maybach could soon revive itself as an independent brand that builds its own standalone vehicles – Much like AMG has gone with the GT lineup. 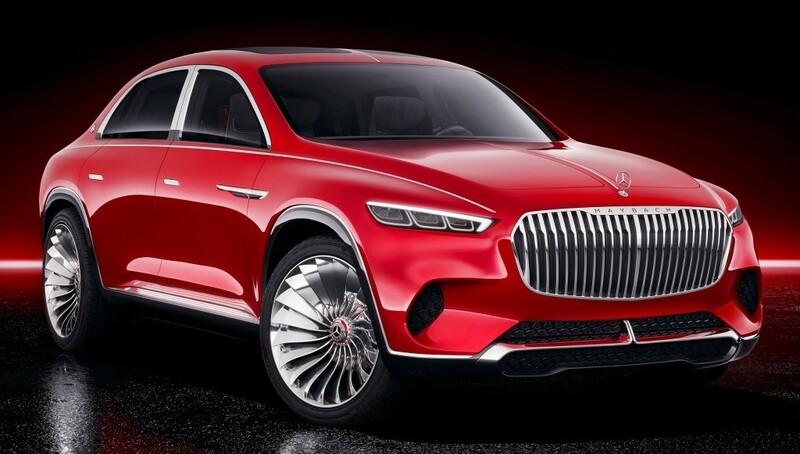 I know we usually hand out awards for the best and worst of the auto industry at the end of the year, but I’m going to start early in 2018 and give Mercedes-Maybach a medal for the worst car design of the year. And the award goes to the Vision Ultimate Luxury, which made its debut among a handful of China-exclusive vehicles at the 2018 Beijing Auto Show. Yes, it’s that ugly! Okay, I don’t know what the guys over at Mercedes were smoking when the greenlit the design of the Maybach Ultimate Luxury SUV (Not that it’s an SUV, really) but just like everyone else in the world we’re not to keen on the overall design. In fairness, the front end isn’t bad, but the overall shape is about as ugly as they come. Well, Peisert design was a bit disappointed too, and that’s exactly why you’re looking at the rendering here. 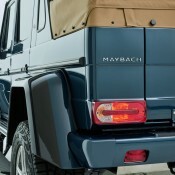 Peisert Design too the new Maybach and reshaped the rear end to make it look like a true-to-life SUV. And, it looks amazing. In the end, Mercedes should take some notes from the rendering here. 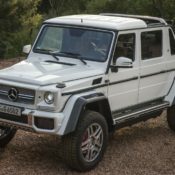 After seeing all the horrible comments all over the internet about the new Ultimate Luxury “SUV,” it really makes you wonder how things are going over there at headquarters. Either way, feast your eyes on what the Ultimate Luxury SUV should have been, then try to forget that it doesn’t exist in this form. Revived in 1997 after more than 50 years of absence, the Maybach brand didn’t make much of an impact on the luxury market, with its S-Class-based models failing to impress against the Rolls-Royces and the Bentleys. As a result, Mercedes-Benz discontinued the name in 2012. 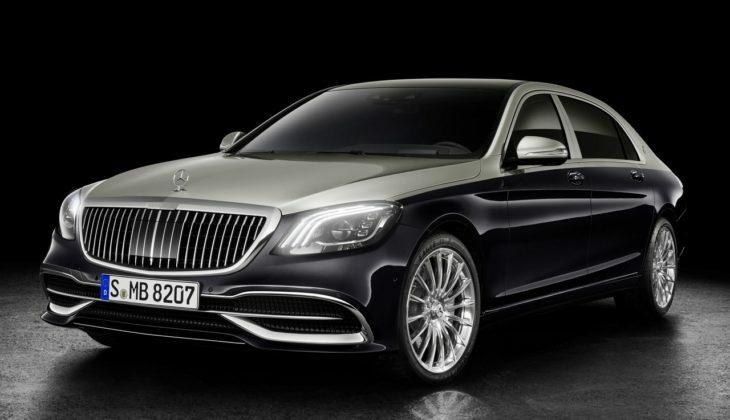 The brand returned as Mercedes-Maybach in 2015, and although it still delivers revised S-Class sedans with longer wheelbases and more luxury features, it aims to offer other Mercedes vehicles too. Unlike its predecessor, Mercedes-Maybach also produced concept cars, with a pair of Vision 6 two-door models showcasing spectacular designs. 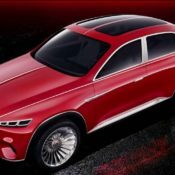 Come 2018 and Maybach unveiled its third concept car, this time around design to preview an upcoming SUV. 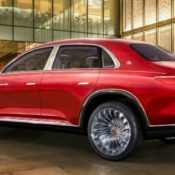 Called the Vision Ultimate Luxury, this new concept vehicle is said to preview the Maybach version of the Mercedes-Benz GLS-Class. However, the concept itself isn’t exactly an SUV, but a hybrid design that combines the features of a utility vehicle with the rear end of a notchback sedan. 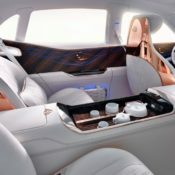 Inside the cabin, the Ultimate Luxury is actually more production friendly than the Vision 6 coupe, while its all-electric drivetrain is identical with the other two Maybach concept cars. It definitely won’t make it into production in this form, but it previews a few interesting design cues and technologies. Let’s find out more in the review below. 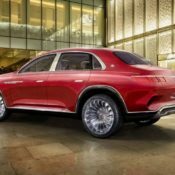 The first Maybach SUV goes official ahead of its Auto China 2018 debut in form of Vision Mercedes-Maybach Ultimate Luxury. Conceived as a four-motor electric vehicle with variable all-wheel-drive, the UL blends the comfort of a super deluxe sedan with the character of a SUV. 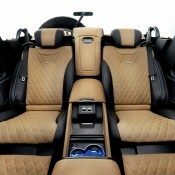 And it has what is quite possibly the most refined car interior ever designed. 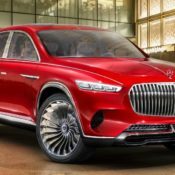 Said to be designed with inspirations from both Western and Far Eastern cultures, Vision Mercedes-Maybach Ultimate Luxury incorporates cues that will be replicated not just in the production version of this car, but other future Maybach models as well. 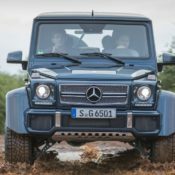 The main highlights include a big, imposing grille, low-profile front headlamps with three lamp units plus three-part lamps at the back, and 24 inch turbine wheels, although the size will be tamed down a little. The best of part of Vision Mercedes-Maybach Ultimate Luxury, however, is the interior. 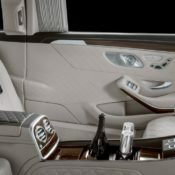 Superior luxury is a given in a Maybach, and comfort and spaciousness are inherent qualities in a SUV. This SUV saloon, though, adds exquisite refinement to those. The dashboard is minimalist in design, replicating the form of the grille, and dominated by double 12.3?inch displays. Meanwhile the seats have rosegold exposed frames and white leather upholstery, brown accents, polished aluminum trims, and rosegold stitching. The ebony Magic Wood center console features a heated tray complete with kettle and cups for what they call the tea service. If you are more of a coffee person, this car is not for you. The Maybach Ultimate Luxury has a system output of 750 horsepower, enabling a top speed of 250 km/h (limited). The range is projected at 200 miles, while there is a fast charging system onboard that with a five-minute charge delivers an extra 100 kilometers of driving. 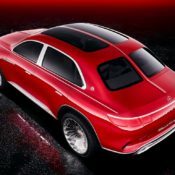 The post Vision Mercedes-Maybach Ultimate Luxury Is All About “Sensual Purity” appeared first on Motorward. 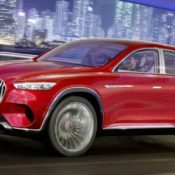 Leaked photos of the Mercedes-Maybach Ultimate Luxury SUV spoiled the surprise for a lot of us. But in some ways, we’re actually glad those photos leaked because they would’ve spared us from catastrophic disappointment. The Ultimate Luxury SUV is a sight for sore eyes, and that’s maybe putting it lightly. 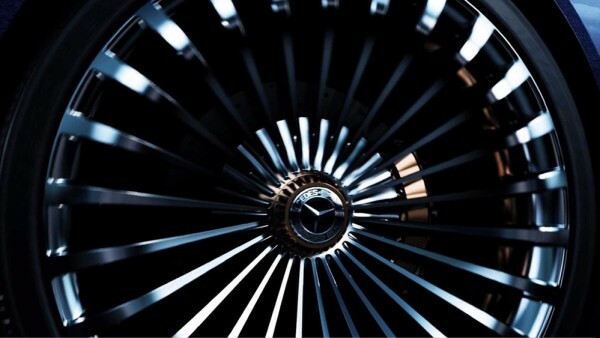 That hasn’t stopped Mercedes-Maybach, though, from rolling out another teaser of the luxury SUV. Guess it didn’t get the memo that the photos have already been leaked. 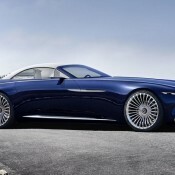 At the upcoming Beijing Auto Show Daimler has plans to unveil a new concept version of the Maybach. 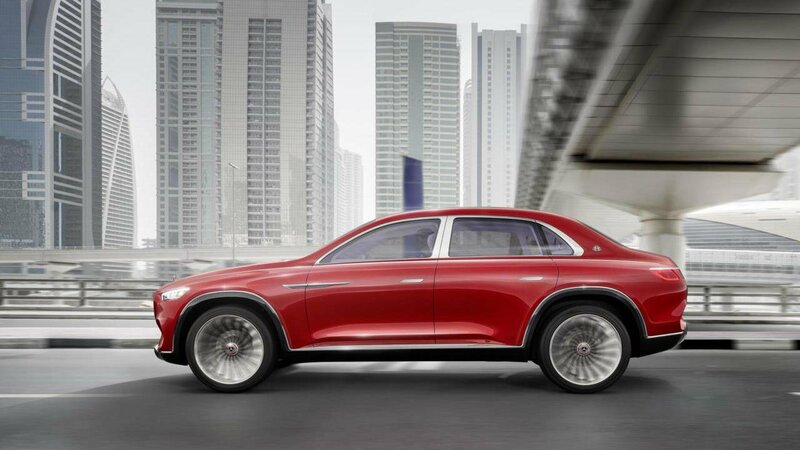 It’s a SUV Maybach previewing a future production model, and it’s called Vision Mercedes-Maybach Ultimate Luxury. There is certainly more than enough clues in the car’s name as to what it’s all about. 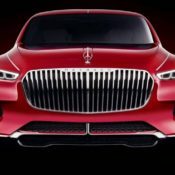 While official details of the Vision Mercedes-Maybach Ultimate Luxury are yet to be released, leaked pictures and information give us a good idea about the features. The huge SUV is apparently all-electric, packing something in the vicinity of 750 horsepower with a range of 310 miles on one charge. 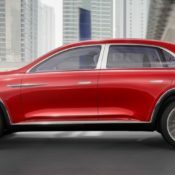 The design of the car seems to be a mix of Maybach’s previous concepts, namely the Vision 6, and Mercedes’ GLE Coupe SUV. Vision Mercedes-Maybach Ultimate Luxury has an interior worthy of the car’s name. 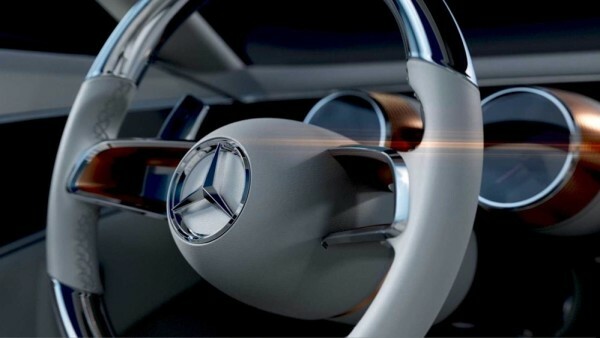 The concept inaugurates a new luxurious design for the dashboard which could be what’s in store for future Mercedes models as well. There is plush wooden trims with ambient lighting embedded in them, super fine leather, and a rear center console equipped with a vase and a tea set complete with a kettle and everything. Now this is a refined kind of luxury! 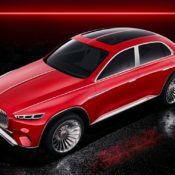 The post Vision Mercedes-Maybach Ultimate Luxury Leaked Ahead of Beijing Debut appeared first on Motorward. 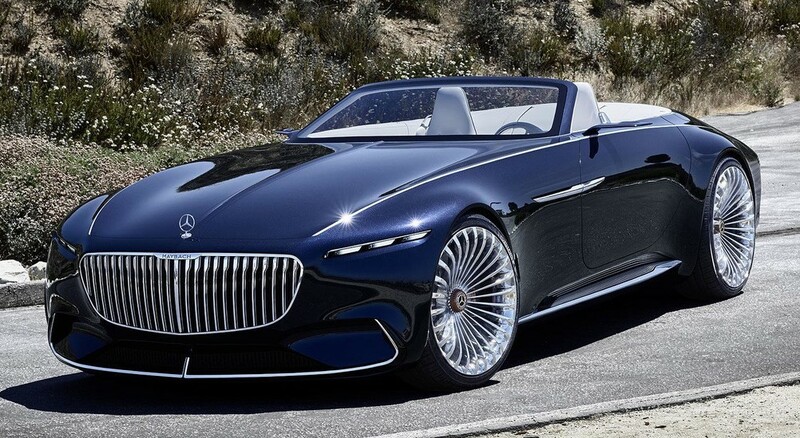 We’ve seen some pretty slick-looking concepts from Mercedes-Maybach in the past – the Vision 6 and Vision 6 Cabriolet certainly come to mind quite easily. However, this latest creation, dubbed the Ultimate Luxury concept and leaked prior to a full debut at the Beijing Motor Show, is making our collective stomachs churn. 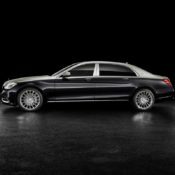 Mercedes-Benz has a range of Maybach variants available, but they are all just slightly more luxurious versions of the S-Class on which they are based. The Maybach you want is the stretched Pullman model which is a proper limo. And the version you want is the 2019 Mercedes-Maybach Pullman because it’s the best. 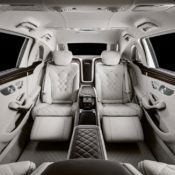 As if the 6.5 meter stretched body was enough to set the 2019 Mercedes-Maybach Pullman apart from its regular counterparts, the company has given it a number of distinguishing styling features. The new Pullman comes with a bespoke front grille modeled on a striped suit, and 20-inch wheel in 10-hole design which is the only popular part of the old Maybach surviving in the new generation. Customers also have the choice of two-tone paint finishes, and new interior colors including magma grey, mahogany brown and silk beige/deep sea blue. 2019 Mercedes-Maybach Pullman is intended to be a chauffeur-driven limousine. So it has only two really cool chairs in the rear compartment, which is separated from the driver’s compartment an electrically operated partition. But even when the partition is closed, the rear passenger can have a view of what’s ahead thanks to a front-mounted camera. Also new for the 2019 Pullman is the “2 cabin sound” feature of the sound system which allows for personalized music for each compartment of the cabin. 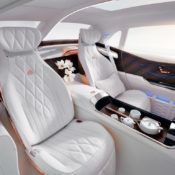 All the other “regular’ features of the Maybach, such as fridge, bottle cooler, champagne glass holder, reclining seats, TV screens and… are all present as well. The amazing Pullman can be ordered from March 15 with a 630 horsepower V12 biturbo engine. 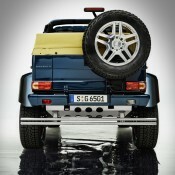 The price start from around half a million euros. 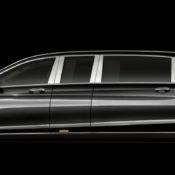 The post 2019 Mercedes-Maybach Pullman Limo Has Superb Specs appeared first on Motorward. In an effort to keep the discerning customers of their Maybach series happy, Mercedes has come up with a number of visual upgrades for the 2018 version of the luxury saloon. 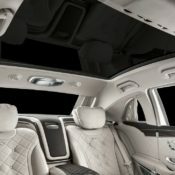 In this treatment the Mercedes-Maybach S-Class gets even more exquisite interior color combos, optional two-tone paint jobs, and a new radiator grille. If we cut to the chase, the two-tone paint works available for the 2018 Mercedes-Maybach S-Class include armagnac brown/black and savanna beige/black. There will be nine color combinations available in total, complete with double clear coat which creates a brilliant surface finish with a piano lacquer effect that gives the paint job a special depth. These should improve the aesthetics of the Maybach, especially when teamed up with new luxury 20-inch multi-spoke wheels. on the whole three exclusive 20-inch wheels are available for the Maybach, including a 20-hole design from the Mercedes-Maybach S-Cabriolet. 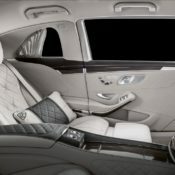 As for the interior, black Maybach Exclusive nappa leather upholstery appointments can also be ordered with a choice of copper-, gold- or platinum-coloured contrasting topstitching. There is also trim inserts in designo flowing lines Magnolia for those with an ultra-refined taste. 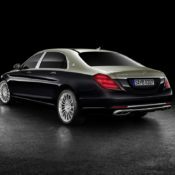 The 2018 Mercedes-Maybach S-Class featuring the new upgrades can be seen at the upcoming Geneva Motor Show in S560 guise with or without all-wheel-drive. It features a 469 hp/700 Nm 4.0 liter V8 engine. 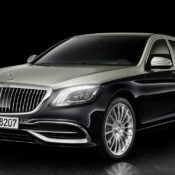 The post 2018 Mercedes-Maybach S-Class Gets Cosmetic Upgrades appeared first on Motorward. 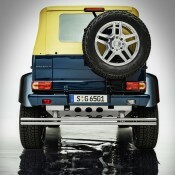 The post Maybach G650 Landaulet Fetches €1.2 Million in Charity Auction appeared first on Motorward. Now that we’ve seen Mercedes’ “latest” concept, I have to say that I’m not impressed in the least bit. When we first saw the teaser video back at the beginning of August,(art177208) I thought for sure we would get the “big surprise” that Chief Designer Gorgon Wagener promised us. This concept was supposed to be an “icon for the brand,” but all I see is a lazy concept that was thrown together just a few weeks before it was set to debut… Did you forget there was a concept lawn at Pebble Beach, Mr. Wagener? Now I’m wondering if that teaser video from within the bowels of the Advance Design Center was actually the very first meeting to discuss the new concept. With that said, I will say that the Vision 6 looks good as a droptop, but it definitely falls short of what was promised. In the video, it was even mentioned that the front end would be “different.” Of course, they were talking about in comparison to the Concept IAA, but still. In the end, the Vision 6 Cabriolet is every bit the Vision 6 with a standalone windshield and no roof. Of course, they did change the interior a bit to account for a slightly revised dashboard with a set of HVAC vents in the center – that’s something the coupe doesn’t have. It is also a bit less futuristic in comparison but still far on the red side of my “never-gonna-see-production” meter. The car itself is attractive, and I even love the scheme of the interior, but when I saw the similarities in Merc’s second teaser video, I should have known. But, I don’t want to be all negative, so let’s move on from this rant and talk about something good that comes from this specific concept. 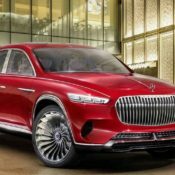 As promised by a very intriguing teaser, Daimler dropped a new version of the Maybach 6 concept at the 2017 Pebble Beach Concourse. The new Vision Mercedes-Maybach 6 Cabriolet still look like a sail boat with wheels, but it’s 110 percent hotter than its hard-roofed sibling. And it’s not an exact copy of the coupe with the roof photoshopped out, either. Vision Mercedes-Maybach 6 Cabriolet comes with a number of new highlights, especially inside the cabin which is designed to offer “360° open-air luxury lounge” feeling. 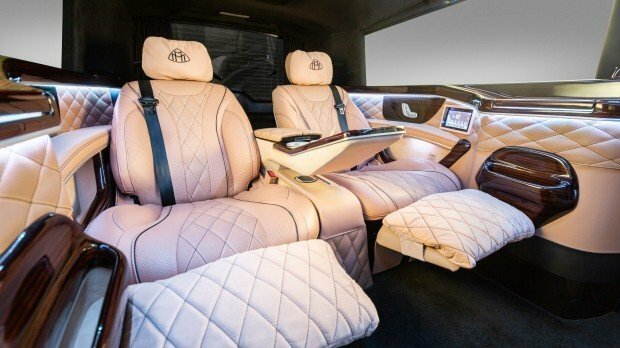 It features high-end materials such as rose gold for the trims, quilted crystal white nappa leather with Mercedes star buttons, and open-pore wood floor with inlaid aluminium, not to mention some nice and elaborate ambient lighting trickery. 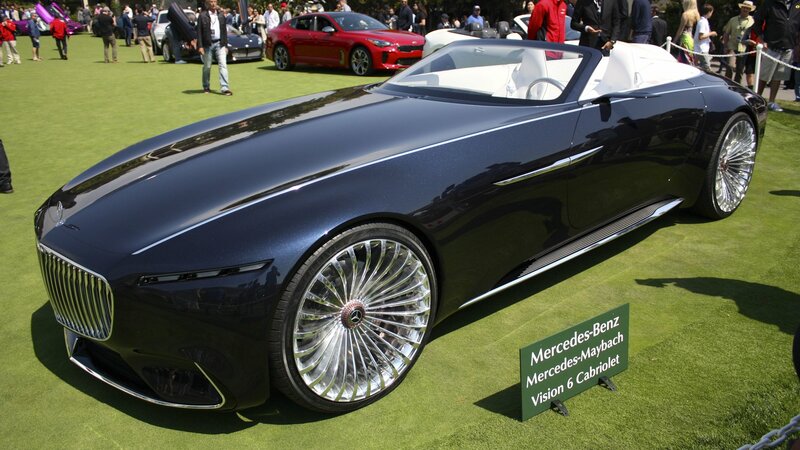 Vision Mercedes-Maybach 6 Cabriolet is so called because it measures a staggering six meters in length. True to its luxury yacht aspirations, the car carried only two passengers and features dark blue paintwork in “nautical blue metallic” and chrome highlights. The 24 inch centerlock wheels is a car-like features you might appreciate. Maybach 6 Cabrio is powered by four compact permanent magnet synchronous electric motors for 550 kW (750 hp) of all-wheel-drive power, delivering a 0-100 km/h time of under four seconds and governed top speed of 150 km/h. The range is 500 km or 200 miles and there is a quick charging system which gives you enough juice in five minutes to cover 100 km. 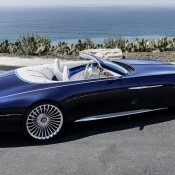 The post Official: Vision Mercedes-Maybach 6 Cabriolet appeared first on Motorward. 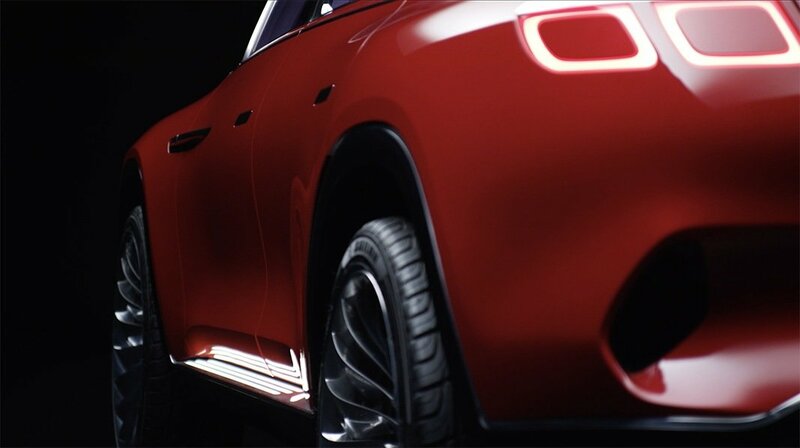 The post Mercedes-Maybach 6 Convertible Teased for Pebble Beach 2017 appeared first on Motorward. 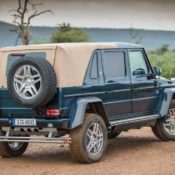 So Daimler waited for the new Mercedes?Maybach G650 Landaulet to get an unofficial reveal via a spotter video before they come out with the official details. 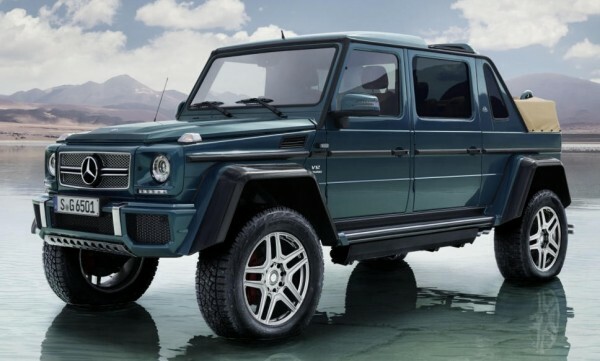 Everbody was expecting the Maybach SUV to be based on the latest GLS, but the Germans dropped a bomb, figuratively this time, by basing the thing on the 4×4 G-Wagen. 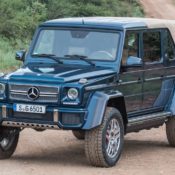 Expanding the extensive G-Class family, the Mercedes?Maybach G650 Landaulet is now officially the ultimate version of this road-going military vehicle topping the G63 6×6 and G500 4×4 squared. 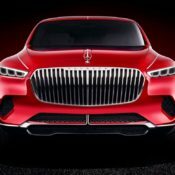 The Maybach connection obviously means the vehicle has a super posh interior and an unnecessarily long list of features and equipment, but it also means the SUV packs a 630 horsepower V12 engine – probably the only V12 vehicle with portal axles and an electric soft top at the back. 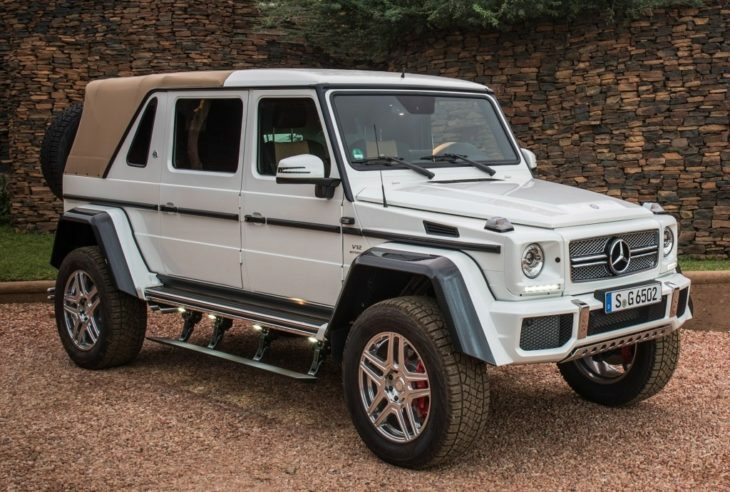 The unique specs of the Mercedes?Maybach G650 Landaulet makes it something quite unique and a must-have for the millionaires who just have to have the latest ultimate in everything. 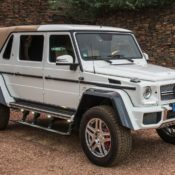 Not many of them will be able to get their hands on the Landaulet though, and not just because of the price tag that will almost certainly be in the neighborhood of half a million euros. 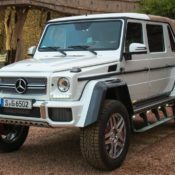 The reason the G650 will be a hard catch is because they are only making 99 units and most of them are probably already pre-sold. 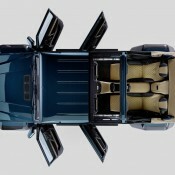 While the complete details of the Landaulet G650 will be revealed at the Geneva Motor Show Mercedes is willing tell us at this stage that this go-anywhere luxury limo features electrically multi-adjustable individual seats that can be conveniently set to a fully reclined position and have ENERGIZING massage function wit inflatable air chambers, a large business console with thermal cup holders between the individual seats, two tablets, two glove compartments as well as grab handles, and a partition for privacy. They call this the “G cockpit”. 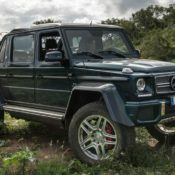 The post Mercedes Maybach G650 Landaulet Goes Official appeared first on Motorward. 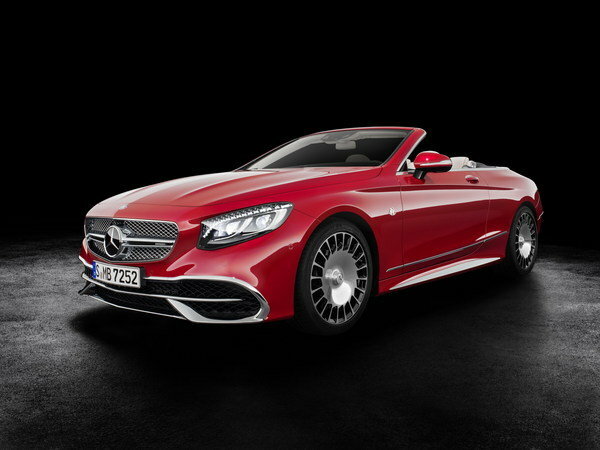 Not that Mercedes USA is going to sweat trying to sell the 75 units of the S650 Cabriolet – the automaker has already received plenty of interest in the special edition convertible during its debut party last week. All 75 available units are expected to sell out quickly in the U.S., even if model comes with a pretty steep $320,000-plus price tag. Given the car’s status and exclusivity, the price is where you expect it to be. It also doesn’t hurt that it’s inundated with the most luxurious of features and amenities, not to mention at 6.0-liter twin-turbocharged V-12 engine that produces 621 horsepower and 738 pound-feet of torque. That’s enough power to propel the luxury convertible from 0-to-60 mph in 4.0 seconds to go with an electronically limited top speed of 155 mph. The 2016 Pebble Beach Concours d’Elegance has already kicked off and numerous automakers have unveiled new products, mostly in concept form. 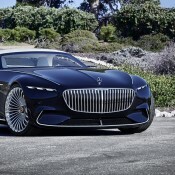 Among them is Mercedes-Benz, which showcased a brand-new concept car wearing the “Maybach” badge. 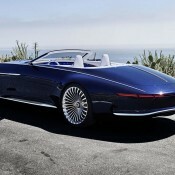 It goes by the name Vision 6 and it’s the wildest vehicle to feature the Maybach name in the modern era. Not only spectacular on the outside, the German coupe sports the latest technology Mercedes-Benz has to brag about. It’s also pretty massive for a two-door coupe. And by “massive” we mean it’s nearly six meters (18.5 feet) long, or about as long as the extended wheelbase version of the Rolls-Royce Phantom. For reference, the Mercedes-Maybach S500/S600 is “only” 5.5 meters (18 feet). In many ways, including size, the Vision 6 is a spiritual successor to the Maybach Exelero one-off that the German brand built for Fulda tires back in 2004. As you’d expect from a Mercedes-badged concept car, the Vision 6 features a massive amount of new technology to go with the wild design, as well as a fuel-efficient drivetrain built around at least one electric motor. Don’t get your hopes up for a production version, but a two-door Maybach based on the new Mercedes-Benz S-Class Coupe isn’t out of the question. Updated 08/22/2016: We added a series of images taken during the concept’s official debut at the 2016 Pebble Beach Concours d’Elegance. Check them out in the picture gallery. Continue reading to learn more about the Mercedes-Maybach Vision 6. You know the SUV market is alive and healthy when a company that was axed just three years ago and revived last year could now get its own (luxury) family hauler. 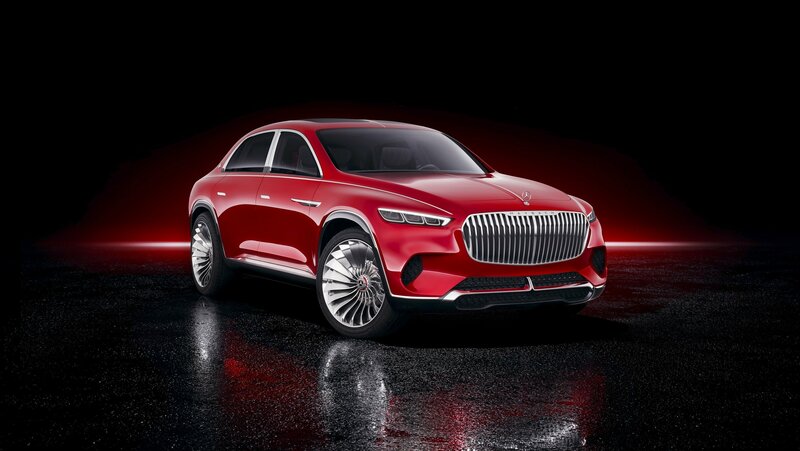 I am, of course, talking about Maybach and the possibility that Mercedes could finally green light an über luxurious SUV for its premium brand. 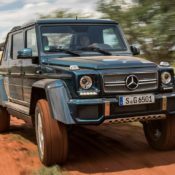 Mercedes board member Ola Källenius let the cat out of the bag in a conversation with Top Gear, although he did throw out the nugget of information with a couple of caveats. First, it’s still not an absolute certainty. Second, if Mercedes does give the thumbs up, it’s not going to arrive anytime soon. 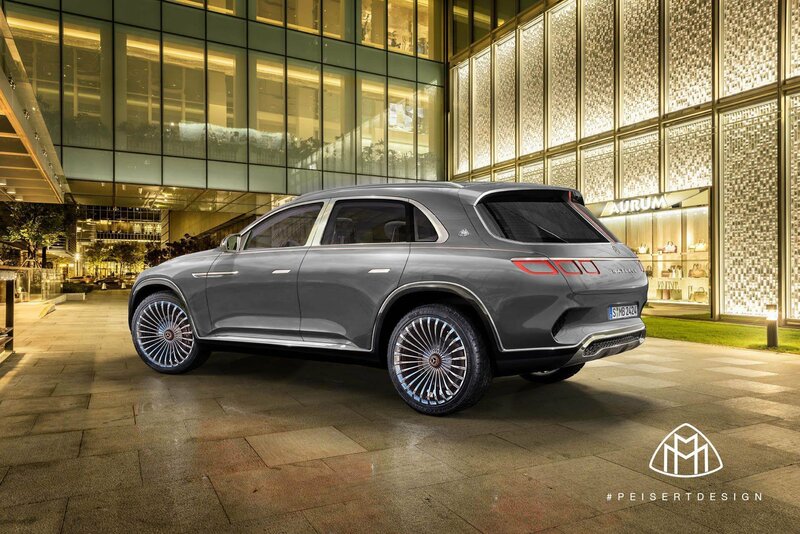 As it is, Källenius explained, a Maybach SUV isn’t likely to happen if Mercedes tapped into its current platform. 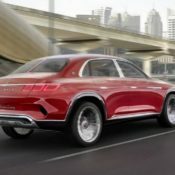 It wouldn’t make sense using that because a Maybach SUV would need to be carefully planned if it hopes to make a dent in a market that’s currently populated by the likes of the Bentley Bentayga and Maserati Levante. The safer bet would be to develop the next-generation platform with the model in mind, something that the German automaker is unlikely to rush just so it can accommodate the model. 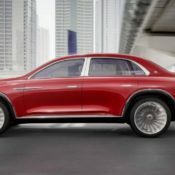 While that’s a little disappointing, those who have been eagerly waiting for a Maybach SUV aren’t going to sweat the specifics if it means that there’s renewed consideration for the model. 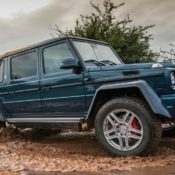 The good news is that it’s back on the table and that the growing clout of the premium SUV market means that Mercedes won’t be too quick to dismiss the model the way it did in the past. 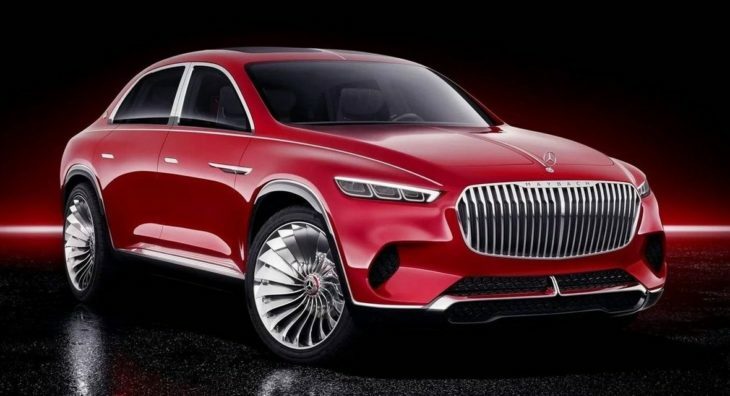 So cross your fingers that the decision-makers over at Stuttgart will consider the benefits of having a Maybach SUV on the market. 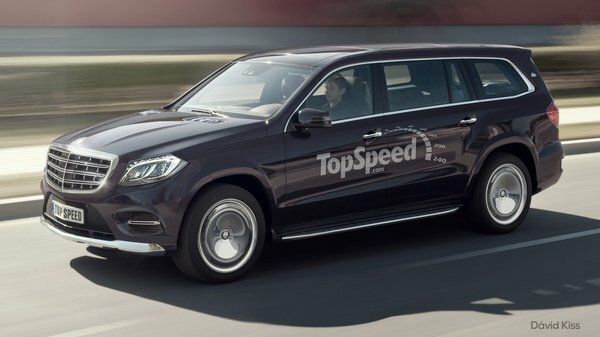 At the very least, having that model means that Mercedes will have a presence in what is fast becoming one of the most competitive segments in the business.